Note: The "2+2" term is used to refer to a transfer agreement through which a student completes an Associate degree at one institution and finishes a Bachelor degree at another institution. Due to individual student factors, part-time or full-time status, need for transitional education coursework, scheduling and availability of courses, or other factors, all students may not be able to complete these degrees in two (Associate) or four (Bachelor) years. The term "2+2" does not imply a guarantee that a student will be able to complete all requirements in 4 years. Students completing this option will receive an Associate in Applied Science degree from West Virginia Northern. Upon completing the additional credit hours required at West Liberty University, they will receive a Bachelor of Sciences Degree in Business Administration with a specialization in Computer Information Systems. 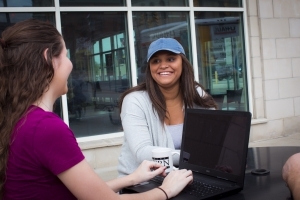 Students are encouraged to meet with members of the faculty at WLU early in their program of study at WVNCC to obtain information and advising concerning the program.